Apple Maps might not be your go-to solution for navigation purposes, but the platform has definitely been improving at a pretty quick pace. While it gets the job done, there are several improvements still needed to be made. Google Maps, on the other hand, have been pretty good at providing users with all the essential features and more. Apple is aware of the competition and it is working to turn the tables. 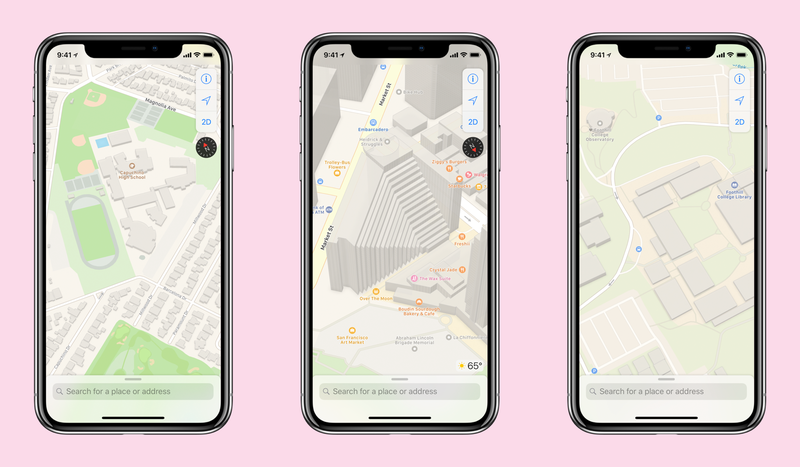 According to a new report, Apple is rebuilding it’s Apple Maps ‘from the ground up’ and you can see it as soon as the next iOS 12 beta update. According to a new report from TechCrunch published on Friday, Apple has decided to implement some serious changes to its Maps platform which will reimagine how you use it and even look at it. With all thanks to the first-party data, the company is building a new mapping service from scratch which will cater the complaints of users over the years. Some of the features to be part of it would include real-time traffic details, construction, road systems, pedestrian walkways and much more. Moreover, the changes will be implemented as soon as the next iOS 12 beta version, so you don’t have to wait years for the service to hit your screens. San Francisco will be the first region to get support for the new Apple Maps platform with Northern California to add support later this fall. Moreover, the wider rollout will begin over the course of next year. As per Apple’s own executive, Eddy Cue the use of first-party data would allow them to take Apple Maps where they have imagined it. The upcoming redesign and overhaul of Apple Maps will focus on other changes as well like privacy and the quality of service. In my point of view, Apple Maps was one such platform from the iPhone-maker that needed specific and dedicated attention as the competition grew. Now, we might not be too far from the service. There will be more to the story, so be sure to stay tuned in for more details. This is all for now, folks. What are your thoughts on Apple rebuilding Apple Maps from the ground up? Share your views with us in the comments.